If one felt successful, there’d be so little incentive to be successful. To look at the paper is to raise a seashell to one’s ear and to be overwhelmed by the roar of humanity. Intimacy is the capacity to be rather weird with someone – and finding that that’s ok with them. Books should be full of stuff you could never say to people in public. In a secularizing world, art has replaced religion as a touchstone of our reverence and devotion. Most of what makes a book ‘good’ is that we are reading it at the right moment for us. 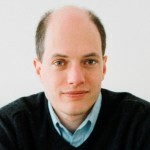 Alain de Botton, FRSL is a Swiss writer, philosopher, television presenter and entrepreneur, resident in the United Kingdom. His books and television programmes discuss various contemporary subjects and themes, emphasizing philosophy's relevance to everyday life. At 23, he published Essays In Love, which went on to sell two million copies. Other bestsellers include How Proust Can Change Your Life 1997, Status Anxiety 2004 and The Architecture Of Happiness 2006. In August 2008, he was a founding member of a new educational establishment in central London called The School of Life. In May 2009, he was a founding member of a new architectural organization called Living Architecture. In October that year, de Botton was appointed an Honorary Fellow of the Royal Institute of British Architects, in recognition of his services to architecture. In 2011, de Botton was elected as a Fellow of the Royal Society of Literature.